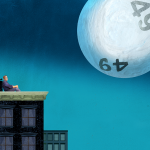 What's More Effective: Single Play or Lottery Syndicate? Lottery syndicates have been around for some time, but if you’ve never tried them before, you may be wondering whether they are a good idea. The premise is simple – having more people putting their resources in the acquisition of tickets will increase the odds of winning a prize. Having more people splitting a prize, however, can also lead to issues. The big question today is about single play vs. lottery syndicate. Which option is better and safer? The answer is that it depends on a number of factors. Before moving on to the gloom and doom, let’s begin on an optimistic note. Playing in a syndicate of trusted individuals can bring various benefits to the table. The first and the most obvious one is that you increase the odds of winning. Not only will you have better odds of claiming the jackpot, you can also maximize the chance of getting your hands on lower tier prizes. 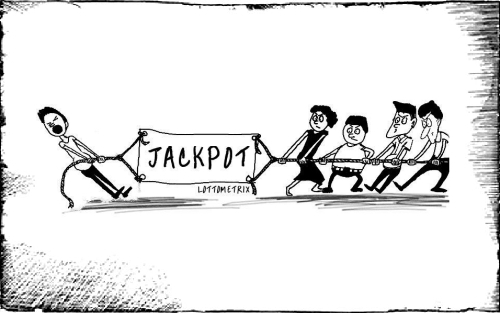 In fact, syndicates often claim multiple sums per drawing due to the fact that they have dozens of tickets. Syndicates typically have strict rules in place to protect all participants. These rules focus on the acquisition of tickets, the share of prizes being distributed among players and how the percentage is calculated. Whenever a syndicate has detailed, strict rules in place, the risk of disappointment is minimal. There are dozens of syndicates out there to choose among. You don’t really have to form such a group with your friends (this is obviously an objectionable practice). Some syndicates are very big, even professionally-organized. There are also small groups out there that target individual games of preference. If you want to win big and if you take the lottery seriously, joining a syndicate will be the right move for you. Before jumping on the bandwagon, however, you have to acquaint yourself with the risks. There are dozens of stories out there about syndicate players being cheated by one of the members who ended up claiming the entire prize and disappearing. The case of Christina Shaw is a typical example of how syndicate play can go very, very wrong. Christina and seven of her coworkers had a lottery syndicate and she was responsible for buying the tickets. In February 2016, Christina bought a syndicate ticket and she also bought an individual one. 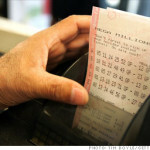 Apparently, one of these tickets was lucky enough to grant a 9.5-million-dollar jackpot. Immediately after finding out that she’d won, Christina claimed that her individual ticket rather than the syndicate one was lucky. Things got so serious that the group took the issue to an Indianapolis court. And this isn’t the only syndicate lotto dispute story out there. In May 2016, an Australian syndicate consisting of 14 Sydney factory workers won a 40-million-dollar Powerball jackpot. As a result, each member was entitled to the spectacular 2.85 million dollars. Eventually, however, one of the members took it to the media to say that he was “wrongfully excluded” from the syndicate. The man said he had worked with the other syndicate members for five years and he felt betrayed by their decision not to share the massive sum. Additional details about the disagreement weren’t released. It’s also not clear how the dispute was handled and whether the disgruntled former syndicate member was given any share of the millions. Even when rules are in place, a syndicate member can cash in the prize and go off grid in a matter of days. Greed can always take over, making seemingly nice people do irrational things. 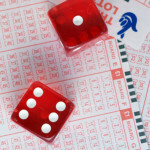 How to Choose the Right Lottery Syndicate? Here’s the final verdict on the single play vs. lottery syndicate debate – syndicates are definitely worth a try. In order to benefit from the opportunity, however, you have to dedicate a bit of time on identifying the right group. Starting your own syndicate with friends and coworkers can be a lot of fun, but this option will often backfire. Even people you trust blindly in other situations can decide to become richer at your expense. If you start your own syndicate, do go ahead to draft and sign a legally-binding agreement. See a lawyer who is going to create the document for you. Having all members sign the agreement will give you the opportunity to pursue legal action if somebody attempts to outsmart the group. Joining a professional or an already existing larger syndicate is a second possibility. Do a bit of online research – you will come across dozens of large syndicates that focus on a game of preference. Always check the rules and the participation conditions before committing yourself to anything. There are both local and web-based syndicates, if you are willing to do a thorough search. You don’t really have to stick to the local community because the possibilities there will be limited. Many of the bigger syndicates out there are professional, a term that refers to the manner in which the group is managed. Having a clear hierarchy, a structure and a prize allocation formula are usually the best way to give everybody involved some piece of mind. This being said, amateur syndicates aren’t always inferior to professional ones. Many small groups out there take things seriously and they work to ensure the protection of all members. A final thing to remember is that running a syndicate is anything but easy. If you don’t have the experience or the time to make it happen, you should probably opt for another possibility. There is a lot to consider, but in the end, winning the lottery is the ultimate goal. Once you put the initial research hours in, you’ll be left with enjoying the choice that you’ve made.